​Home Visit Aged Care Funding Explained. 1. Which patients are eligible? 2. What are the details of each program? 3. How do I get referrals? Commonwealth Home Support Funding (CHSF). Medicare Enhanced Primary Care (EPC). This blog post, written specifically with allied health professionals in mind - especially physiotherapists and podiatrists - is a detailed account of what I’ve learned. In doing my research, my initial suspicions about the Department of Health's approach to aged care funding were confirmed. To this day, its programs remains excessively complex, and spending hours navigating the relevant government websites only adds to the confusion. Unfortunately, many topic pages are outdated and littered with broken links, so much so that it makes you feel that it's being done on purpose. Unfortunately, I fear that the in-built complexity of home visit aged care acts as a deterrent for eligible Australians to pursue funding that is vital for their well-being. As the name suggests, eligible people (e.g. 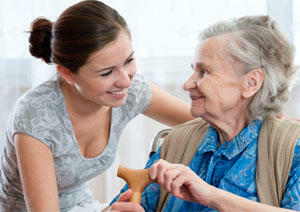 seniors, people with disabilities) receive this funding to help them remain in their own home for as long as possible. For example, consider an elderly person who suffers a fall at home. Typically, the hospital admission is used to evaluate the person's current home management practices. Alternatively, he or she discusses the issue with the GP. Most patients discuss their regular home activities with a health professional, so that the likely causes of accidents can be better identified and prevented in the future. Next, the health professional will refer the patient for an Aged Care Assessment Team (ACAT) assessment, which is to be completed at home. ( https://www.myagedcare.gov.au/...) is a criterion to determine a person's home care requirements. Levels of Home Care Package Support. As you move up each level, the eligible person receives both increased funding and more services. Patients must choose a package coordinator, and the benefits are paid to the patient's chosen provider. 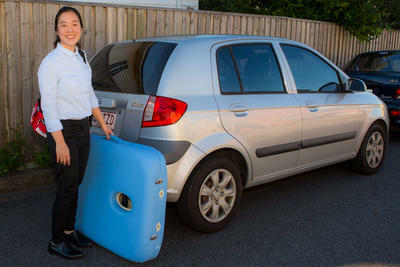 Most aged care providers are typically large organisations like Feros care (https://www.feroscare.com.au) that either provide services directly, or contract practitioners to provide services on behalf of the company. Home Care Package Case Study: Feros care. Feros care is a national health and wellness lifestyle services company. It can manage the aged care plan as well as the government funds on behalf of the patient by negotiating fee rates to service providers on their behalf. In exchange for helping patients maximise the care they receive, Feros (and other aged care co-ordinators) typically receive 15% of the total funding provided. I recently met with a senior employee at a registered aged care provider to discuss the process of home care package and provider selection. They often advise patients to attend a GP to discuss the services that would most benefit them. How Do You Get Home Care Patient Referrals? How do you get a referral? Firstly, you must build relationships with homecare plan coordinators. These are the people who decide contracts and distribute a lot of appointments. The senior employee referred to above mentioned that “reliability and sufficient size is important.”, which means that he usually looks to refer to larger companies with many service types, i.e. medium to “super” clinics that provide multiple allied healthcare services. Evidently, if you are a small provider or solo clinic, referrals of this nature are hard to obtain. Therefore, I would recommend that you partner with a larger group, or join forces with other health professionals to give you a better chance. As part of a greater health group, co-ordinators will have more confidence in your ability to manage the workload and provide quality service. Relationship-building begins with becoming better known to the right organisations. As always, coordinators will refer to health professionals who make their lives easy, so you need to do a good job, remain available when they refer, and be able to cover sufficient (geographic) area to be useful. Another common aged care funding is the Commonwealth Home Support Programme (CHSP). In some ways, CHSP is similar to the home care packages described earlier. It is also designed to promote independent living at home, and provides both support services and allied health services like physiotherapy. (www.myagedcare.gov.au). Next, they will arrange for someone from the Regional Assessment Service (RAS) or Aged Care Assessment Team (ACAT) to provide patients with an in-home assessment. How does the CHSP work? CHSP differs from home care packages mostly in its funding model. Whereas the aged care packages are patient-funded, allocated to a person, and based on disability, CHSP directs funding to organisations that in turn decide who receives the care. The RAS and ACAT guide the CHSP on what care is required, although the funded organisation is ultimately required to provide the care. Essentially, the federal government allocates funding to large providers like Blue Care that are responsible for providing care on its behalf. It's always a balancing act between providing excellent care to the most people possible and meeting budgetary restraints. 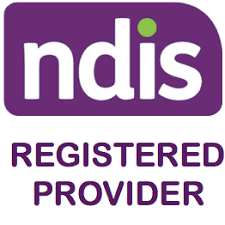 Check the My Aged Care website for an updated list of approved providers. As I understand, a large part of this funding type is respite and transitional care. The immediate and shorter duration of this type of care is better suited to this funding mechanism. How do you get CHSP referrals? Although I’m not a CHSP expert, I know that its funding mechanism lends itself to a different referral strategy from home care packages. Given that the approved provider has guaranteed funding and is likely to employ practitioners at an hourly rate, smaller clinics and solo healthcare providers have a more even playing field on which to get work. Nevertheless, you still need to build relationships with decision makers, and make them understand your availability, abilities and quality. As you may already be aware, employing physiotherapists can be difficult and time consuming, and I suspect some still use a per service pricing model. At worst, clinic owners can list their offerings and tailor them to providers on a case by case basis. The Australian government has a funding model within Medicare called Enhanced Primary Care (EPC) which gives patients up to five (5) appointments each calendar year. To be eligible, the patient must have a chronic injury or illness that must have been present for at least six (6) months. They need to arrange an appointment with their GP who will then create the necessary team care arrangements and decide how many appointments should be allocated to each profession. Once you receive the team care arrangement, you can bill Medicare for the health expenses. How do you get EPC referrals? As discussed, EPC referrals come from a doctor. Hence, the best way for physios and podiatrists to get EPC referrals is to build relationships with GPs. Doctors are able to send referrals directly, and in my experience, prefer practitioners with established reputations who bulk bill. You the practitioner then bill Medicare for payment. EPC is likely the easiest home care funding scheme to manage for smaller clinics. However, please note that it can be hard for home visit (mobile) practitioners to bulk bill, and that you will likely get lower treatment fees under Medicare EPC than either home care or CHSP. Hopefully this post has given you a good understanding of home visit funding in Australia today, and motivates you to teach your patients about what's available to them. Also, we hope that the information and links provided serve to help your business get more referrals in this area. I provide a cutting-edge practice management software application called Owner Health for home visit practitioners. To learn more about it, please follow this link.